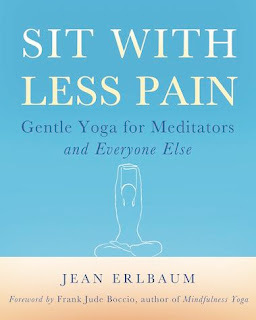 "Jean Erlbaum's book is a true blessing for anyone who has a body. Everyone should own this book. " to do the simple poses she outlines." Relieve and release the stiffness that comes from prolonged sitting—at a desk, behind the wheel, or on a meditation cushion—with these easy-to-follow exercises. Free yourself from pain with this beautifully illustrated guide. The book is organized anatomically, helping readers to immediately focus on the part of the body that causes them pain: tense shoulders, stiff knees, sore hips, etc. 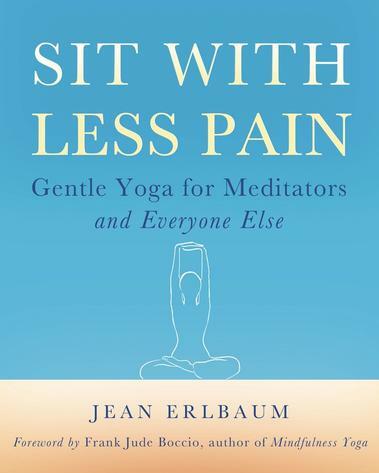 Sit with Less Pain also includes instructions for flowing series of movements, which combine several exercises into smooth sequences, for readers who have mastered the individual stretches and want a more complete experience. 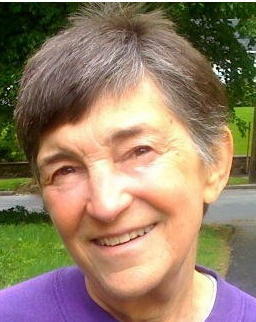 Available with companion CD's of the author's soothing voice guiding you through the sequences offered in the book. You can chose tracks and design your own unique stretching sessions focusing on the parts of your body that need special attention.